Certificate can be used on December the 19th, January 9th, 16th, 23rd, and 30th. Not valid with any other offer. Pre-Teen VIP Night Out is every Friday night from 6:30 pm to 10:30 pm, for boys and girls ages 8 to 15 years old. Drop off the pre-teens at a safe and controlled environment. Let them share Friday night with their friends while making new ones. Revive 45’s VIP Night Out starts at 6:30 and goes to 10:30. 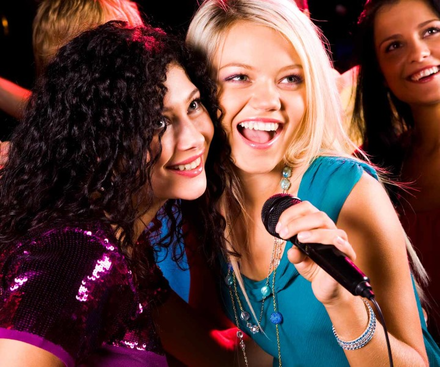 There your teen will enjoy a pizza party, a karaoke stage, a movie room, along with multiple music themed video games, and jam session room. VIP Night Out is held every Friday night at Revive 45 from 6:30 pm to 10:30 pm. The night is for boys and girls ages 8 to 15 years old. Revive 45 Music in Bryan/College Station, is a premier music lesson and artist development studio. Whether you’re an Advanced, Intermediate or Beginning student, you are encouraged to expand your musical talent no matter what your age. Revive Music is located in the Carter Creek Shopping Center.